How to make a wooden flower planter for your terrace or balcony. If your terrace or balcony could do with a bit of shade and you want to plant a small tree or palm to dress your space, just take your Dremel® DSM20 Compact Saw to cut the individual wooden scaffolding boards to the right length, then use your Dremel® 3000 to help assemble it. A few hours later and a designer planter is yours! Simply follow our step-by-step guide. Mark up the cut on the board for the side of the planter that you are going to make all the way round on the piece of timber. 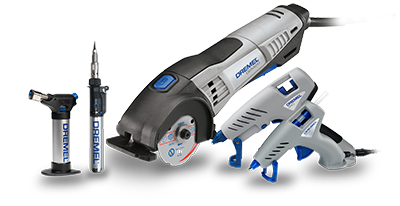 Then, take your Dremel® DSM20 Compact Saw using the Dremel® DSM500 Multi-Purpose Cut-Off Wheel, set to a cutting depth of 20 mm and cut along the marked up line on one side – using a straight edge clamped or screwed into position to guide the tool. You will need to cut through the timber from both sides, so make sure that your marking up is accurate for both sides of the cut. When you’ve done this, continue to cut all of the sides of the planter, referring to the cutting list above for the correct sizes. Use the Dremel® DSM20 with Multi-Purpose Cut-Off Wheel and the Dremel® DSM Edge Guide for the longer cuts and the Dremel® DSM840 Mitre Guide for the shorter cuts and diagonal cuts to create all of the floor supports and the legs/side supports, referring to the cutting list for the correct sizes. Cut all the top pieces of timber using the Dremel® DSM20 with Multi-Purpose Cut-Off Wheel and the Edge Guide. Then, mitre the ends to form the top frame using the Dremel® DSM840 Mitre Guide, referring to the cutting list for the correct sizes. Mark out the screw positions on the side supports and drill pilot holes for the screws using the Dremel® 3000 and wood drill bit set 636. Assemble one of the planter sides using three individual 52.4 cm lengths and two leg/side supports. Place the three individual 52.4 cm lengths on a flat surface, square up and put them up carefully making sure they fit flush to one another. Then take a leg/side support and position it so that the outside edge is flush with the cut edge and top of the 52.4 cm lengths. Then, using your manual screwdriver or powered driver and self-countersinking 65 mm x 5 mm screws, fix the side supports to the side of the planter. Repeat for the opposite side of the planter. You will now have two complete 52.4 cm sides of the planter with leg/side supports attached. Take three individual 60 cm side pieces and assemble them on a flat surface, as before, square them up and put up tightly to each other so that all the faces are flush with each other. Then, take one of your assembled 52.4 cm sides and screw to fix using your manual screwdriver or powered driver and drill bit no 2, ensuring that the support is on the internal aspect and that the surface of the 52.4 cm assembled sides are flush with the top and the cut end of the 60 cm side pieces. Repeat this process with the remaining assembled 52.4 cm side. Now you have all three sides of the planter assembled. Construct the final 600 mm side as before and screw to fix. You should now have all four sides of your planter assembled. 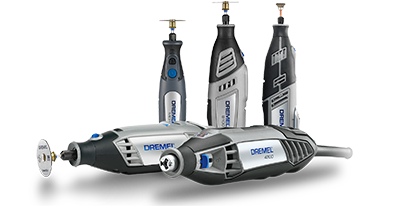 Mark up and drill pilot holes using your Dremel® 3000 and the Drill bit set 636. Then using your manual screwdriver or powered driver and no. 2 bit, screw to fasten the floor supports at the base of each internal side of the planter so that they are flush with the bottom edge of the planter sides. Using the 52.4 cm floor pieces notched out to fit, screw and fix the floor pieces on top of the floor supports in the bottom of the planter - using your manual screwdriver or powered driver and the no. 2 bit. Fit the top of the planter: Mark up the screw positions, then use the Dremel® 3000 and the drill bit to drill pilot holes using self-countersinking screws. Then screw and fix the mitred top to the rim of the planter with the manual screwdriver or powered driver and the no .2 bit. Finally, apply wood filler to countersink holes. Sand off any rough edges and any excess filler using your Dremel® 3000 with the EZ SpeedClic Sanding disc SC411. Line the inside of the planter with heavy duty plastic sheeting and fill with good quality compost. Buy your palm or small tree, plant and water for instant shade or as a decorative addition to your balcony or terrace.